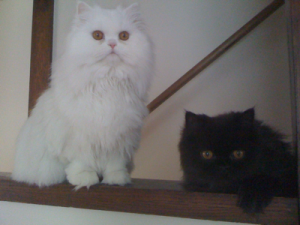 Anita did a fantastic job looking after our two Persians while we were on holiday. She spent time loving and playing with them, even bringing over a few new toys to keep them active and happy. We loved that she sent us regular updates and pictures of our kitties, as it really eased our minds that they were okay. We will absolutely have her ‘kitty sit’ for us again! If you have found yourself on this page, are a cat guardian and live in Holland Park then it’s more than likely that you will be seeking a cat sitter to care for your cat during your travels. Daisy and Shelby were happy with Catnips cat sitting service and your cat(s) will be too!